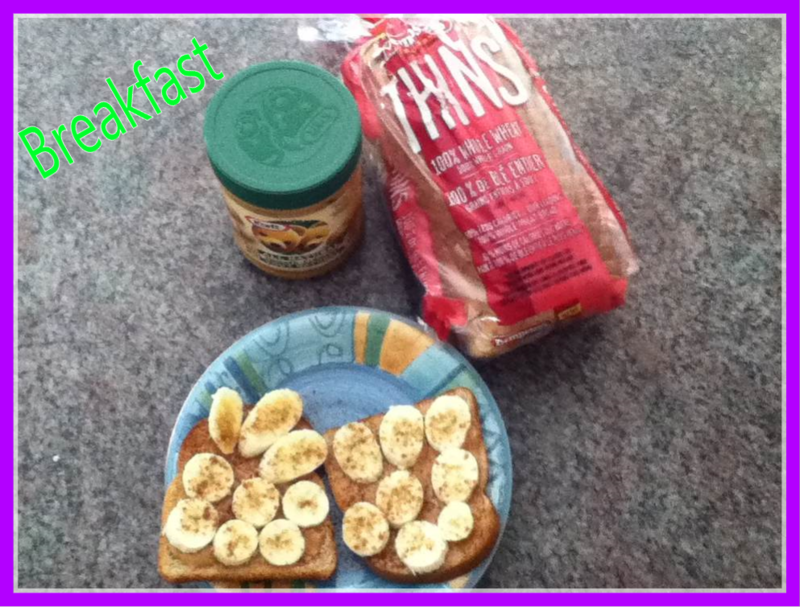 Breakfast: I only had one slice because it was so filling plus I had a cup of coffee. This Dempsters Thin is just 45 calories per slice, they’re very thin, that’s why I had made two slices, thinking it wasn’t going to be enough. But I was wrong, my eyes were hungry. I also use all natural, no sugar added Peanut Butter. YUMMY!!! 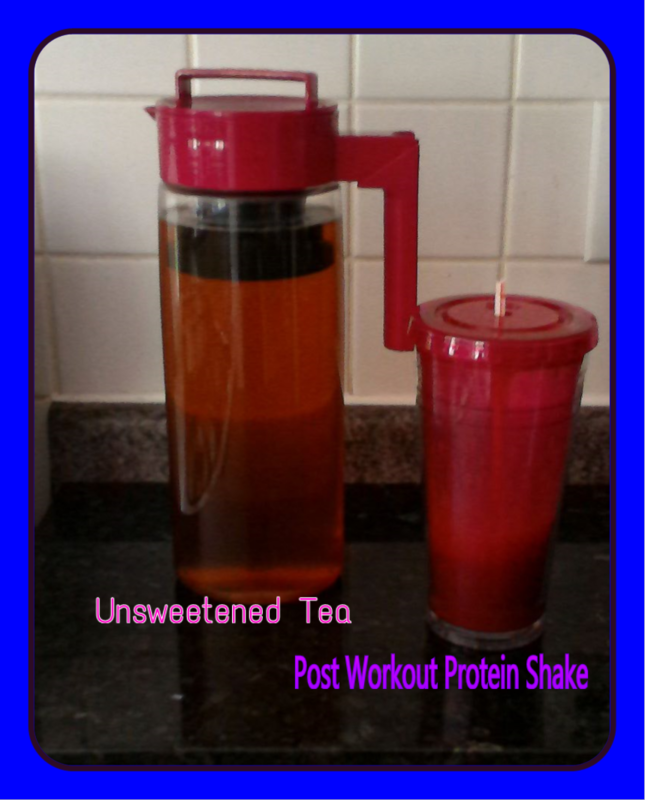 I had a great workout today Back & Biceps and I made myself a protein shake plus I made a pitcher of unsweetened tea. It’s 64 oz and that’s my goal for today. If anyone is interested in this ice tea maker here’s a link. 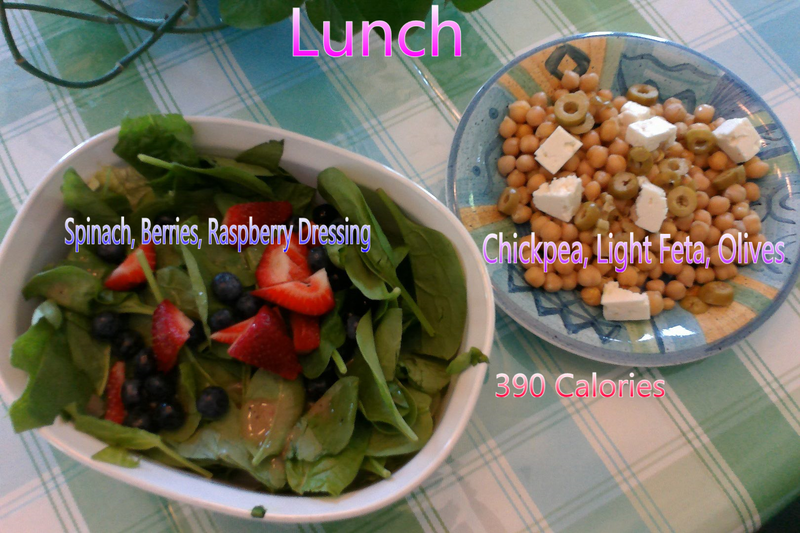 I could have 60 grams of feta and have 12 grams of protein and consume 120 calories. I think that’s a better food choice. For dinner I made steak and cheese subs for the family but my was without the 9′ bun but I had all the toppings and roasted cauliflower on the side. 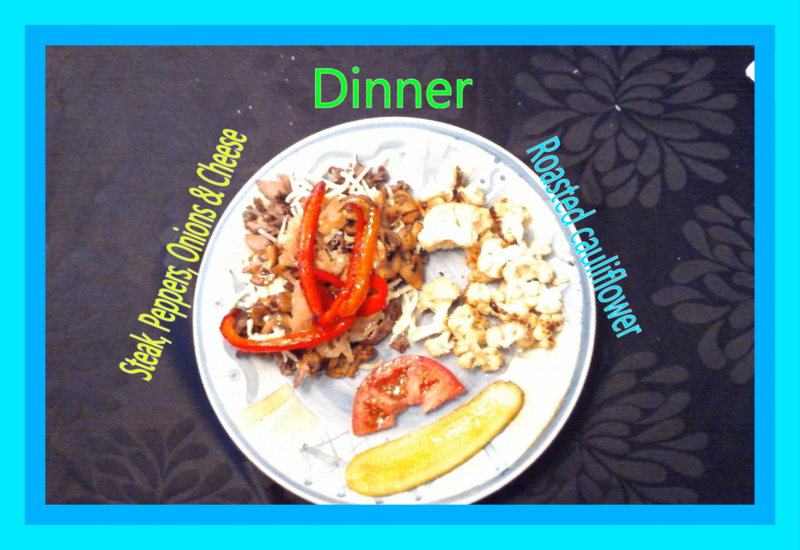 Toppings were sauteed onions, mushrooms and peppers, mozzarella cheese, tomato, shredded lettuce & pickles. 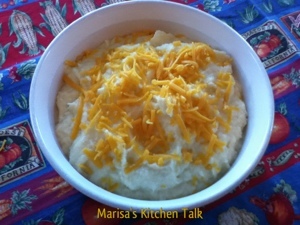 Many years ago I made mashed cauliflower also known as Faux-Tatoes and my kids didn’t like them at all. In fact it was really funny when my son said the mashed potatoes taste funny and thought they’ve gone bad as in rotten…HAHAHA!! Last night for dinner I decided to try to make those rotten mashed potatoes again but this time I’ll add a few more in ingredients other than butter and salt. As I was pureeing them in the food processor I was thinking of what I would normally put in mashed potatoes and that’s when the sour cream came to mind. Then I added sharp cheddar cheese because you can’t go wrong with cheese!!! When I placed the bowl on the dinner table my kids were so happy to see mashed potatoes so they piled it on their plates and after the first bite they’re like Hey mom this isn’t potatoes its that cauliflower again?? Well it’s really good!!! I was so happy to hear that as they went in for seconds. I almost had to hurry to get a serving for myself hahaha!!! Next time I make this I might try to make it as a casserole au gratin. What do you put in your mashed cauliflower?? 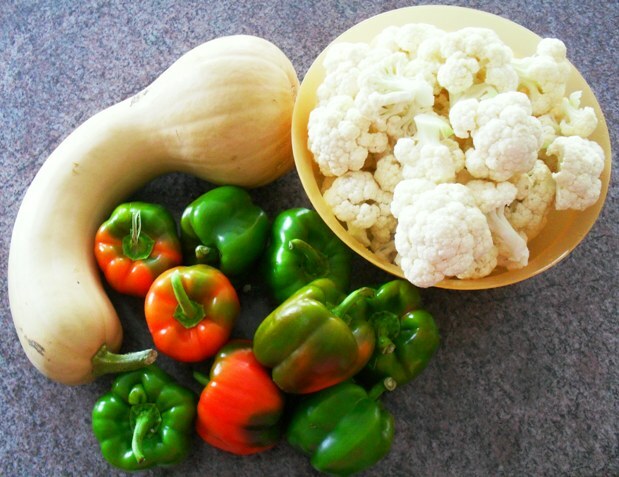 In a large pot add water and cauliflower florets and bring water to a boil over high heat. Cover tightly, cook until tender, 10–12 minutes, and drain. Purée cauliflower in a food processor. Add sour cream, butter, garlic powder, onion powder, cheese and salt; process until smooth and well combined. Place in a serving bowl and sprinkle with extra cheddar if desired. It’s only Wednesday and I feel that I’ve done so much already. Monday I went for a one hour bike ride with my kids, then off to the library for some books and movies, then we went to the butcher and picked up lean Italian sausages, we went to the farmer’s market and I picked up some great deals. 1 Butternut squash – it’s ginormous!!! I plan on trying something new. 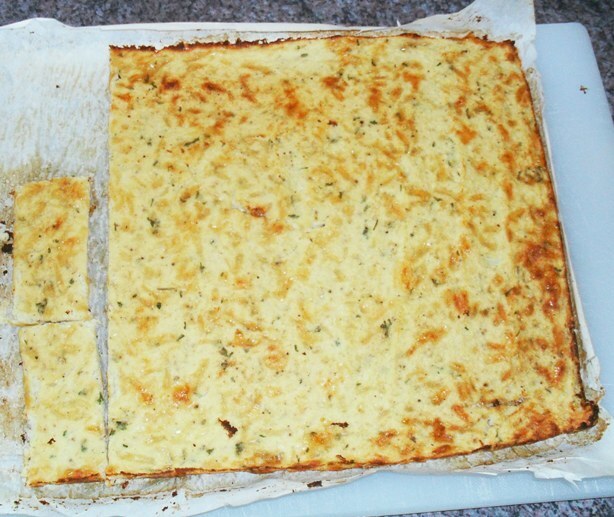 I want to precook the cauliflower and puree it, freeze it int small freezer bags and use it for my cauliflower pizza dough. I see a lot of pizza in my future. Yesterday we went to Canada’s Wonderland, and we had a great time. My kids went on a crazy roller coaster, it was so hot that we spent the rest of the day at the water park. There’s water slides and a wave pool. On the way back home I stopped at the grocery store and lucked out and scooped up a huge bunch of fresh basil. I have a few plants in my garden that I’ve picked today to add to my bunch. I want to make homemade pesto. Later we had dinner and a movie. So this brings me to today…Wednesday. It’s 8 am and I’ve already watered my garden, picked tomatoes, cucumbers, basil and a ton of chili peppers. 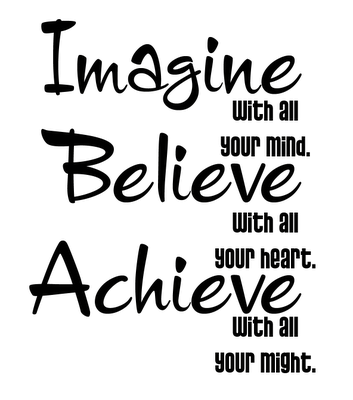 and I’m sure I’ll figure out some more things to make while I’m in there. 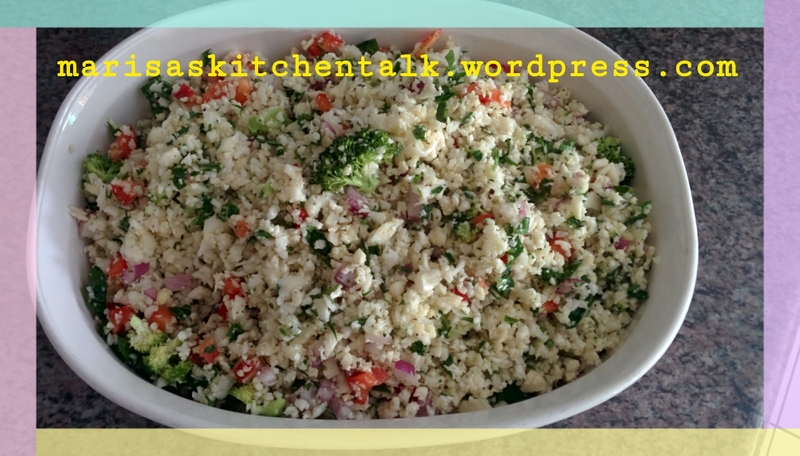 Chop a whole cauliflower and boil until fork tender. Let cool and place in food processor and puree. 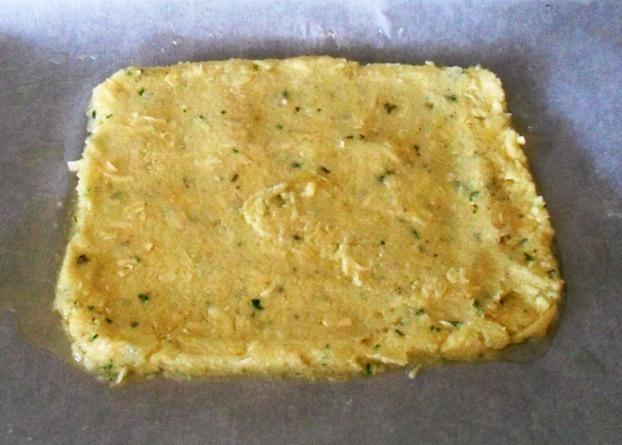 Place parchment paper on a cookie sheet brush olive oil. Bake at 350 or broil until the cheese is melted. Let the crust cool and slice it into 12 pieces. It keeps quite well wrapped in foil in the fridge. 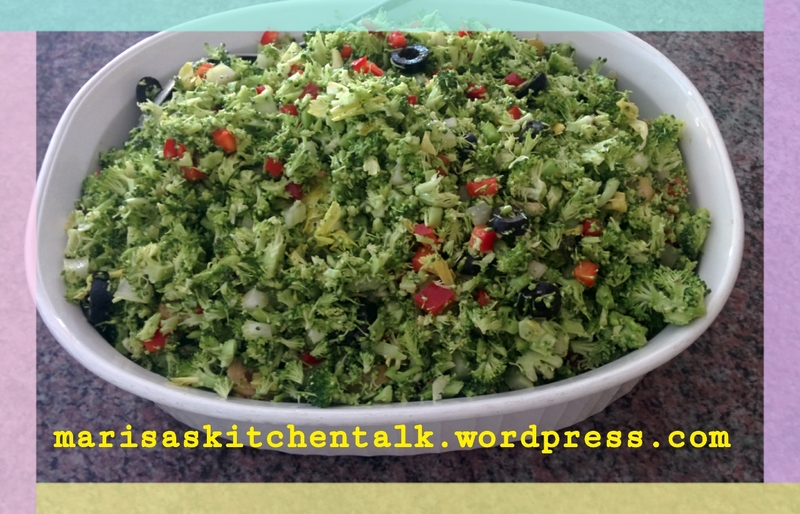 Thanks to Taraleegrant for this recipe.